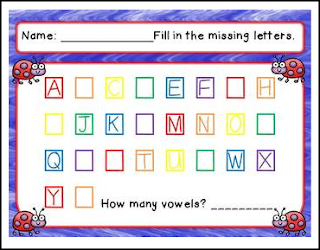 Assess your students' letter knowledge with this activity. Do they know the letters in order? Can they form them? Color for laminating and using at a center. Black and white for using with the entire class.